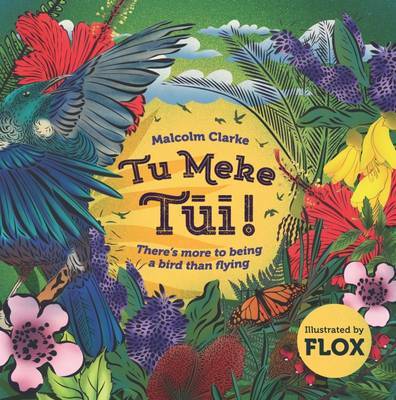 Tere the Tui and Taitu the Takahe are two very different sorts of birds: one loves to flit and twirl about in the sky, while the other prefers to rustle around in the undergrowth.Tu Meke Tui is a story of friendship, courage and discovering that sometimes it's our differences whi... read full description below. Tere the Tui and Taitu the Takahe are two very different sorts of birds: one loves to flit and twirl about in the sky, while the other prefers to rustle around in the undergrowth. Tu Meke Tui! is a story of friendship, courage and discovering that sometimes it's our differences which make us truly special. Illustrated by Flox, a graffiti artist with a fine arts degree. Flox first made her mark in inner-city Auckland, New Zealand, her trademark native birds, ferns and flowers magically transforming grey walls into vibrant depictions of nature. Now seen everywhere from Berlin, Hong Kong and New York to Taiwan, the artist is certainly spreading her wings.